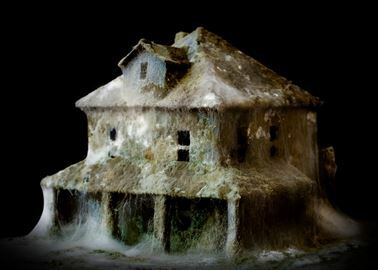 The mold that can be found inside the house may appear harmless but certain species are toxic and can have adverse effects to the body upon exposure. It is essential to know this information to identify the health risk present for the family [1, 2]. Molds that are known to produce mycotoxin are the type that is dangerous to human. People react to this chemical when they unknowingly touch, ingest or inhale them. One example of a mycotoxin is the aflatoxin which is one of the most potent carcinogen in the world. This chemical is present on the surface of the mold that forms on peanuts and other grains. Stachybotrys or “black mold” can possibly cause difficulty in breathing, bleeding in the lungs and other health problems . The most common symptoms of exposure to toxic mold is allergic reaction. This may occur immediately or after a period of time following the exposure. An allergic reaction to toxic mold may cause wheezing, coughing, sneezing, redness of the eyes and runny nose [1, 2, 3]. The mycotoxin produced by Stachybotrys mold can irritate the airway when it is inhaled. This can trigger an asthma attack to those who have asthma [1, 2, 3]. The Institute of Medicine have identified the link between the development of hypersensitivity pneumonitis and exposure to toxic mold. This rare disease is similar to a pneumonitis and develops in individuals who are susceptible to this immunologic condition . The focus of the management of exposure to toxic mold is to manage the symptoms that have developed and remove the accumulation of mold [1, 2, 3, 4]. Those who have developed an allergic reactions may be given antihistamines to reduce the intensity of the symptoms. Asthmatic individuals may use their medications to manage the asthmatic attack [1, 2, 3, 4]. Removal of the mold is the best way to manage the exposure to toxic mold. Commercial products are available to remove mold for hard surfaces. Personal protective equipment should be worn while cleaning to avoid the exposure to mold. Molds that grow under the carpet or behind the walls would need a professional to remove the growth in these places. Items that have become moldy should be removed from the living areas of the house [1, 2, 3, 4]. Mold may be harmless but certain varieties pose as a health risk to everyone. Do you have a previous experience with this? You can share what you know in the comments below. Please also share this article in your social media accounts to let your friends know about the risk of exposure to toxic mold.